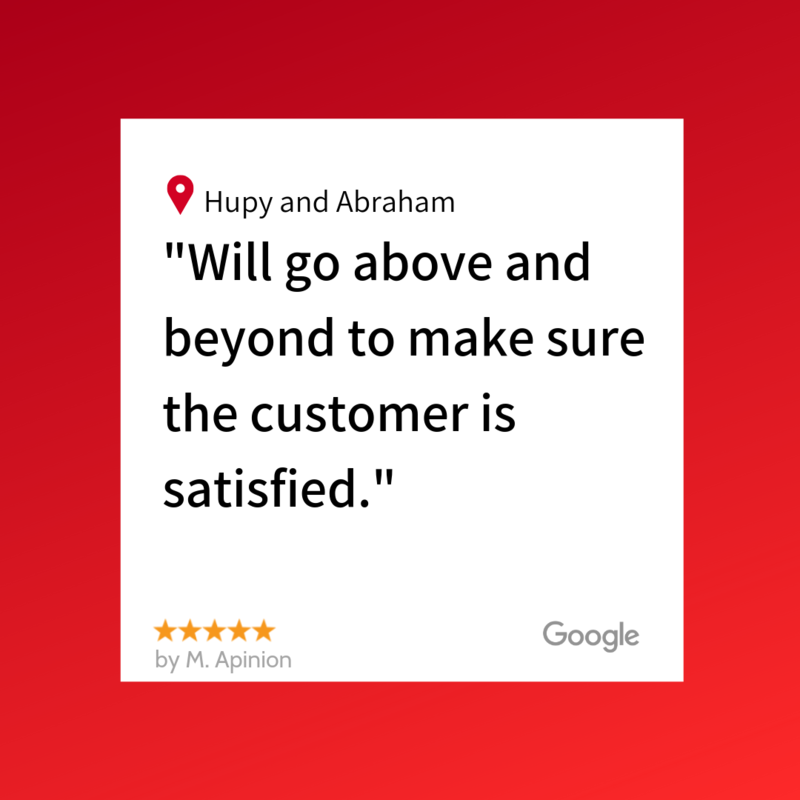 5 star Google review from M. Apinion | Hupy and Abraham, S.C.
"Even lowered their fees so I can walk away with something a little better"
Highly recommend, was with me every step of the way. Very friendly and patient, and will go above and beyond to make sure the customer is satisfied. Even lowered their fees so I can walk away with something a little better, constantly checked on me.